An expert panel has recommended that the Singaporean government require registration and insurance for electric scooters. 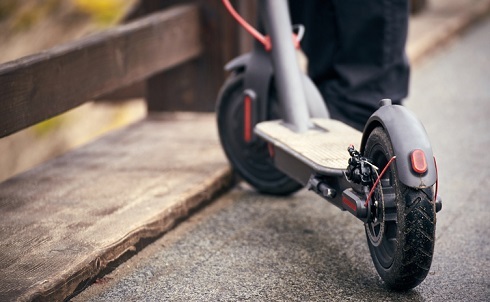 The Active Mobility Advisory Panel said that requiring registration is mandatory given a rise in irresponsible e-scooter use, placing both users and other people in danger, the Straits Times reported. Associate Professor Muhammad Faishal Ibrahim, the panel’s chairman, said that his group has already forwarded its proposal to the Ministry of Transport (MOT) to regulate e-scooters. “This will increase e-scooter user responsibility and facilitate enforcement against errant e-scooter users,” Faishal said in a Facebook post. Other mobility devices, such as electric hoverboards and unicycles, are not included in the regulation proposal due to “less widespread” use and lower speeds. However, the proposal said that these should be monitored and appropriate actions taken in the future. However, an increase in accidents involving personal mobility devices (PMDs), which e-scooters are classified as, has prompted Transport Minister Khaw Boon Wan to order the Active Mobility Advisory Panel to review the rules. There were a total of 110 accidents involving PMDs between January and September 2017, 30 of which occurred on public paths involving a pedestrian and a PMD user, according to MOT data. In November, a 52-year-old e-scooter user was killed in a collision with a double-decker bus. In October, an 18-year-old was charged for allegedly hitting a woman while driving an e-scooter, seriously injuring her and putting her in a month-long coma.